Tisa L. Silver Canady, Ed.D., MBA, is the founder and principal at Silver Canady & Associates, a research and consulting firm headquartered in Prince George’s County, Maryland. Her career in higher education began in 2003 when she joined the faculty of the Alfred E. Lerner College of Business and Economics at the University of Delaware. Tisa specialized in corporate finance and investments. In 2011, Tisa transitioned to an administrative role at the University of Maryland, Baltimore where she was responsible for campus-wide financial education programming and debt management initiatives. She also managed the campus financial aid counseling team and personally advised students on the repayment of more than $45 million in student loan debt. Tisa has served as a writer and reviewer of personal finance and investments content for online outlets including Forbes, Investopedia, and BET. Her insights have been featured in radio, television and print outlets including TIME, Ladies’ Home Journal, ESSENCE Magazine, FOX Business, MSN Money, Yahoo! Finance and Maryland Public Television. Tisa has an undergraduate degree in finance and a master’s degree in business administration from the University of Delaware. She earned a doctorate in higher education administration community college leadership from Morgan State University. 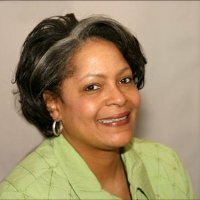 Dr. Charanne Smith has a background in higher education, policy, diversity, curriculum and program development, early college high school partnerships, and corporate human resources. She has a Bachelor of Arts from University of Iowa, Master of Arts from Thomas Edison State University and a Doctor of Management in Community College Policy and Administration from University of Maryland University College. She believes in student access, opportunity and success, and is Director-Brookdale Community College at Neptune. Dr. Deborah Peoples has over 10 years of community college leader experience. During her tenure as an administrator, she led institutional efforts in continuing education. Dr. Peoples has extensive experience in the public, private and non-profit sectors leading workforce development initiatives, grant development and management, student advisement, curriculum design and development, marketing, course evaluation, faculty assessment, enrollment management, and staff development. Dr. Peoples holds a B.A. from St. Mary’s College of Maryland, an MA from University of Maryland-Baltimore County, and an Ed.D. from Morgan State University. Dr. Peoples currently leads efforts to develop global leadership competencies for mid- to senior-level executives in a Fortune 500 company. 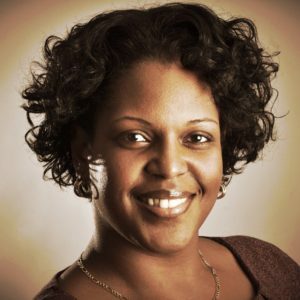 Dr. Towuanna Porter Brannon is a higher education professional with more than 15 years of experience in key leadership roles at public, private and proprietary institutions. Dr. Brannon currently serves as the Assistant Dean for Advising, Records and Registration at LaGuardia Community College within CUNY. She provides leadership and vision to eight departments including the Registrar’s Office, Center for Career and Professional Development, International Student Services, Transfer Services, Office of Student with Disabilities, Student Advising Services, and CUNY signature retention programs including College Discovery, Accelerated Studies in Associate Programs (ASAP), and College Opportunity to Prepare for Employment (COPE).